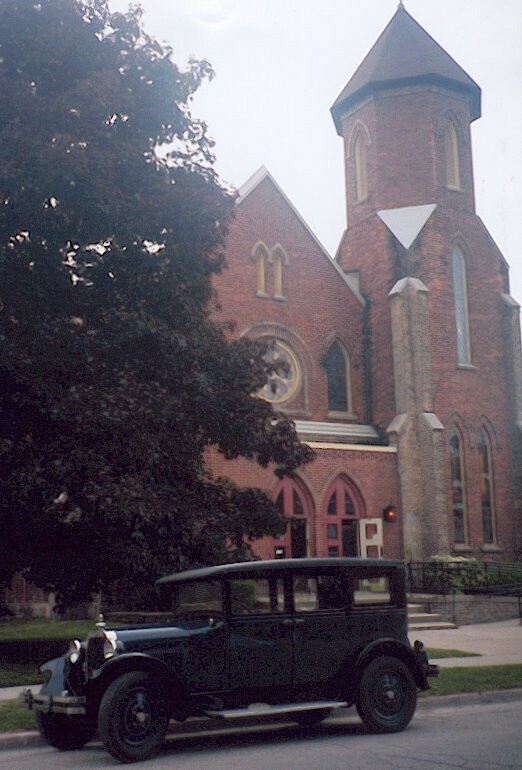 Knox hosted the 1924 General Assembly of the Presbyterian Church in Canada. Here the Presbyterians voted to form the United Church of Canada, comprising Presbyterians, Methodists and Congregationalists. The key to the city of Owen Sound and the photograph of the participants was presented to Knox. Church membership increased rapidly until church union, which in 1925 created the United Church of Canada. 284 of the 1085 members of Knox rejected union and left to form St. Andrew’s Presbyterian Church. Toronto Conference met in Owen Sound in June 1940 with Knox acting as host church. This was the first time Toronto Conference was held away from Toronto. Knox also lost members during the Second World War. A large wooden plaque listing all who served during the First and Second World Wars serves as a reminder of the costs of war. Gold stars mark the names of those who paid the supreme sacrifice. In 1995, after several congregational meetings, the original Church steeple, which was in poor repair, was removed and replaced with a smaller one.